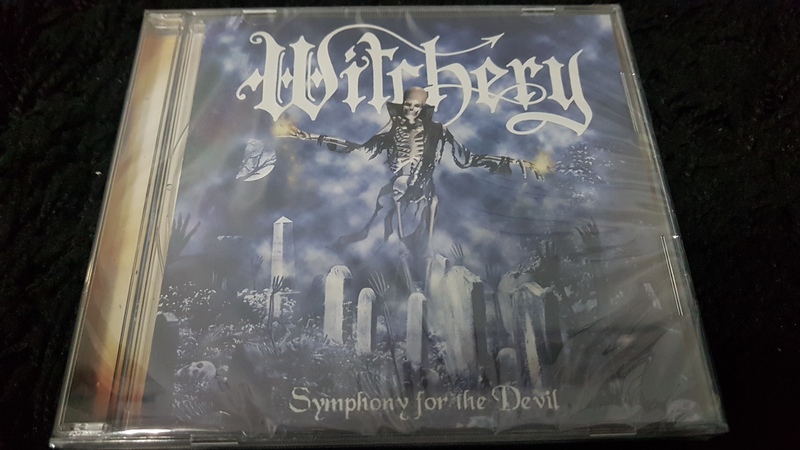 Symphony For The Devil is Witchery's third full-length studio album after Restless & Dead in 1998 and Dead, Hot And Ready in 1999. It was released in 2001 and has received underground acclaim from metal fanzines and webzines.The album continues in the Witchery's previous style, with thrash metal riffing and solos, but with a black and death metal influence. This album has Martin Axe of Opeth on drums, after the departure of Mique. The reissue of the album in 2007 uses slightly different cover art.